﻿San Jose Limo & Shuttles is your best choice for San Jose Shuttle service. Our Luxury Shuttles are perfect for Corporate Events in San Jose and work with all companies as a local San Jose Shuttle provider. 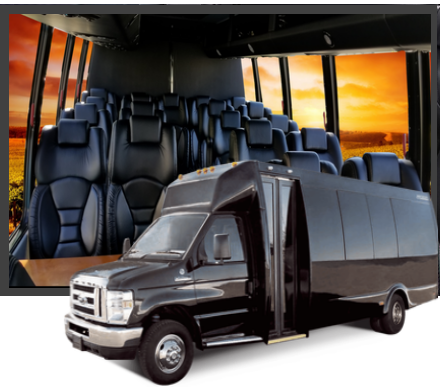 We have concierge level planners that can help with planning and setting of reservations for a San Jose Shuttle. We also offer tours and Shuttles from San Jose and can pickup at San Jose International Airport (SJC- Norman Y. Mineta Airport). Our tour buses, and corporate shuttles are perfect for wine tasting and for group outings. Our Luxury Shuttles in San Jose feature high back chairs, 110v Outlets for Laptop Charging and USB ports for cell phones and cameras. Its always a great day with San Jose Limo and Shuttle. Alongside our reputable Luxury Shuttles we also offer Commuter Program Shuttles for San Jose. We can work with your organization in creating routes, bidding on RFP's and become your supplier chain vendor for Shuttle services. Our vehicles are perfect for commuter routes as they can fit large groups and offer luxury and amenities that will comfort and make your employees productive including Wi-FI on board and DVD Aux video inputs. Call 866-612-3242 today for a quote OR book now using the Book Online Tool! 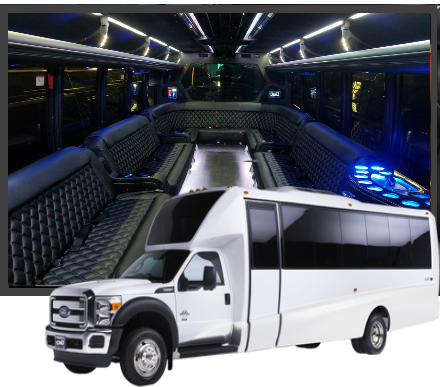 Our fleet of San Jose Limo & Shuttles feature Exotic Stretch Limos, Party Buses, Luxury Sprinter Limos, Sedans, SUV's, High End Luxury Cars and Basic Shuttle Buses. Contact us for a Quote.